For any parents, their baby’s first words, are very much special. Usually, before the babies learn to talk, they babble, squirm, and coo, with a playing sound, which is generically called Baby Talk. Development of talking skills is one of the biggest milestones in your baby’s growth and development, and this happens in the first three years of life when your baby’s brain is rapidly developing. This whole thing about speech development, depends on your baby’s baby talk skills, and well as your baby talk skills. The baby talk usually happens soon after the birth and will be non-verbal. These non-verbal sounds are what babies make, in order to grab your attention and get their emotional and physical needs met. These non-verbal sounds can be grimaces, squirms, cries, coos, laughter, etc. Good and caring parents will manage to listen and interpret their baby’s different cries. The time, the first words come out, varies from a baby to baby, and in case, you feel, things are taking a little too long, consider talking to your family doctor, or a pediatrician. During this period, it is mostly, the non-verbal sounds mentioned above, and other gestures. Your baby will listen to your voice, watch your face, and turn towards the voices, or sounds that are heard from elsewhere. Usually, woman’s voice is more preferred by the babies, over a man’s. Many infants, also prefer voices, and music they heard when they were still in the womb. When your baby is six months old, it will start babbling with different sounds. By the end of this phase, your baby will start responding to their own name, recognize their native language, and try to use their tone of voice, to let you know, if they are happy or upset. Some of the sounds they make during this period are ba-ba, da-da, etc. Parents, usually interpret these as their first words, but, the babblings made by the babies at this age, have no real meaning. At this age, your baby will understand a few common words like, “no,” “yes” and “bye-bye.” Your baby will also start to use a wider range of consonant sounds and tones of voice. A great toy to use at this age is a baby laptop, which has sounds and words which can coax your baby to start talking for the first time. By the end of 12th month, most of the babies start with a few simple words like “dadda” and “mama,” and will also be aware of what they are saying. They will even start responding to your one-step instructions such as, “Please put that down”; however, they may or may not obey. By this age, babies will know several simple words and can point to the objects, body parts, and even people, you name for them. They usually repeat the words or sounds they hear, you say, but often tend to leave off the endings or beginnings, of words, “daw” for “dog,” “noo-noo’s” for “noodles.”, etc. By two years, your baby will be able to use a string of words, like “Mommy bye-bye” or “me milk.” This is the phase wherein they learn that words mean more than objects, and will also learn about the abstract ideas. This is the age, during which your kid’s vocabulary expands, rapidly, and they will start understanding symbolic and abstract language like “now,” feelings like “sad” and spatial concepts like, “in,” “out,” “there,” etc. Can babies be taught to talk? 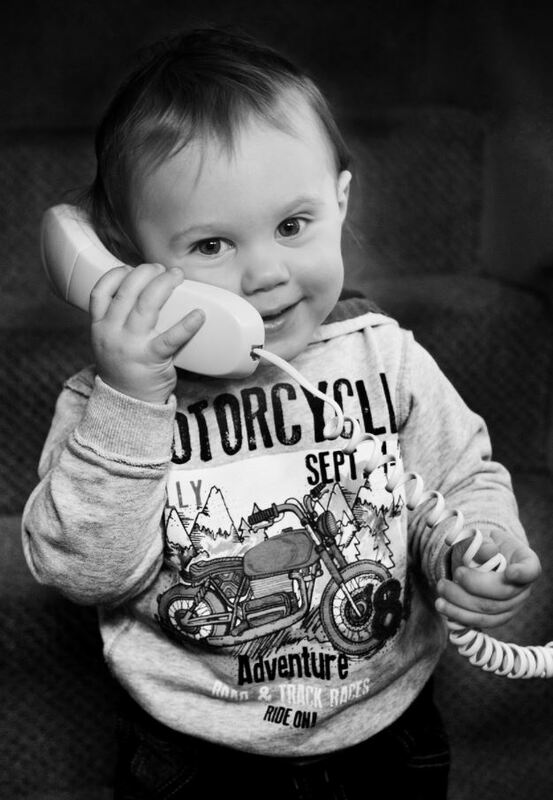 In the initial stages, your babies may not be able to talk or reply, but, will understand, everything you say. They may understand around 25 words or more, but, they tend to use, one or two words, only. Watch – Observe every single gesture that your baby makes. When it tries to convey something, you must be reciprocating it. Smile, make eye contact and respond to any gestures or non-verbal sounds, your baby makes. Listen- In the beginning, it is already mentioned, how parents’ baby talk is important, just like the baby’s baby talk. Your baby will usually make high-pitched cooing and babbling sounds, in order to be heard. You should give time, for your baby, to talk to you. Imitate- Your baby loves to hear your voice, all the time, and when you talk to them, it will largely help them, in their speech development. The more you interact them, and correct their pronunciation, the faster, they learn to talk. Narrate- Rather than simply feeding or changing your baby, you should narrate what you are doing, like “I’m boiling the milk for you,” or “I’m making you wear, your favorite blue dress.” This will help your baby connect to your speech, and to those objects and experiences. Elaborate- If your baby points at the noodles, and makes noise for more, instead of simply refilling its bowl, just say, ” You want more noodles? Aren’t they more tasty with cheese?. This will trigger an interaction. Praise- You should smile and applaud for every single attempt that your baby makes while learning to talk. Attention – Give your baby, loads of attention. Even, if you don’t understand, what your baby is saying, keep trying; try to repeat what your child might have said, and ask him/her if that is correct. Play- Encourage your child to play, and be a part of this session, which is very much important for your baby.Let your child lead, during these sessions. Read Aloud- When you read the stories or anything aloud, it not only improves your baby’s verbal skills but also aids the auditory development, too. Your baby feels these sessions to be relaxing and fun. Speech is closely related to the hearing abilities. Hearing loss can lead to delayed speech development. Usually, a hearing test is usually done, right after the birth. Consider, subjecting your baby for a complete hearing exam, when he/she is three months old. A Speech-Language Pathologist will know all possible reasons, for the delayed speech, and he can help you with the right treatment that will improve your baby’s language skills. Autism spectrum disorder or other mental retardation conditions may also lead to the delayed speech. So, ask your doctor about screening for these developmental disorders and the treatment. Encourage your baby’s talk, and your baby will surely tell those first words, at the right time, as encouragement is the first step towards the speech development.